Will Holland worked in a butchers as a boy, although although now much of his food is centred around the glorious seafood caught right in front of his restaurant on the Pembrokeshire coast. This collection contains some of his fantastic recipes, demonstrating his classical French flair along with a penchant for only the finest British ingredients. Will Holland's easy Pea purée recipe makes a vibrant addition to any plate and, as it is made from frozen peas, can be whipped up at the last minute to add a touch of class to your dinner. 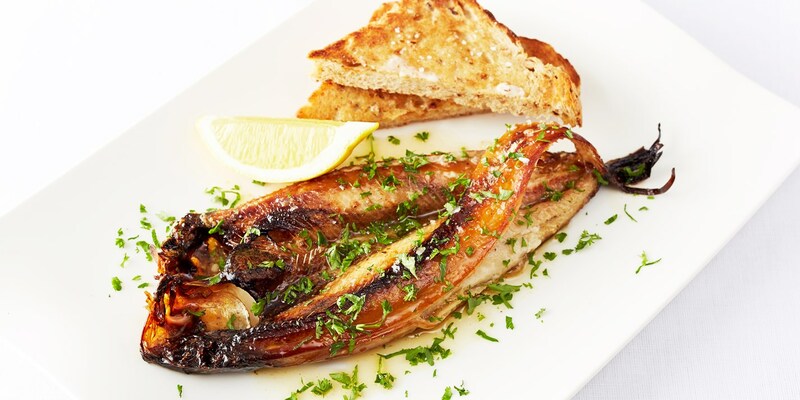 His Lobster and caviar gratin is a superb seafood recipe which is decadent enough to impress even the most seasoned dinner party guests, or for something a little simpler you can't beat Grilled kippers on toast, a heavenly brunch recipe basted in rich brown butter.